Now there is news of another update of Google local search result according to Barry Schwartz this is related to Local Search Results. Number of webmasters are saying there is huge different in Google local search results than few days back. You can see there is much moments are going on in mozcast and Algoroo which are the best Google’s algorithms tracking tools. On other hand there is no confirmation from Google about any kind of new update. This is sure there is huge difference in local search results. Some of the experts of SEO’s like Mike Blumenthal are saying location results are screwy. Webmaster are saying there is less matching results are showing in SERP while you are looking something for local services. According to another webmaster Linda Buquet now there are more results are come out on national base instead of local organic results. Now the thing is that what we should do now to save our site from this update because right now there is no information about any kind of update. 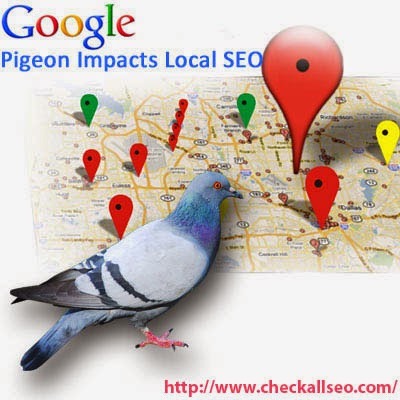 If this issue is about local search results then might be it will Google pigeon update, because Google is set pigeon algorithm for local search listing results. I think you will remember how last Google pigeon update was effected numbers of local listing results sites specially Yellow Pages Directory website. Might be this update will not for all over the world it could be for only for some countries, but you should ready for that. Try to make your website like that which will stand on safer side in future. Here are the few successful factors which will boost your website in local business results. Authority Domain Factor: If you would like to boost your local business then first of all for that you would need to make your website’s domain stronger in eyes of Google. Google is love to those all sites which have quality in content, images and coding, so you should try to make this part of your site much strong. Location Factor: According to a survey if your local business is targeting medium market and ideal location for that should be close to city center then it would be prove great sound for you. Beside that you can get ideas to boost your local business from those all techniques which are using by your competitors. State and City Factor: When you are going to make Meta and description of your site at that time you should always remember one thing in your mind try to mention that state and neighbor city names in that to attract numbers of visitors on your local listing. Over Optimization:If you are trying to make lots of back-links to improve ranking of your site then you should stop this activity immediately. Now Google is counting these kinds of things as an offence, so instead of that you should try to improve quality of your content. Organic Reviews: When you will have good numbers of genuine and positive reviews on your Google Plus account then it will be left great impact on your returning and new customers every time. But for that you will need to provide each and every informationclearly about your products.